A witch-finder compiles his list … To me, prologues are an unnecessary extension of the backcover blurb and I often don’t read them. Resistance is futile when it comes to Beth Underdown’s deep dark 17th century historical novel based on the real witch-finder Matthew Hopkins. When I read the prologue to The Witch Finder’s Sister I tried not to become smitten with the words, tried not to be intrigued by the premise nor overcome with a desire to read what sister Alice has to say, but I am already into Chapter 8 even though historical fiction is not my preferred genre. 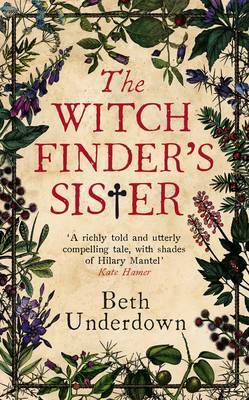 The Witch Finder’s Sister by Beth Underdown review – puritan or serial killer?